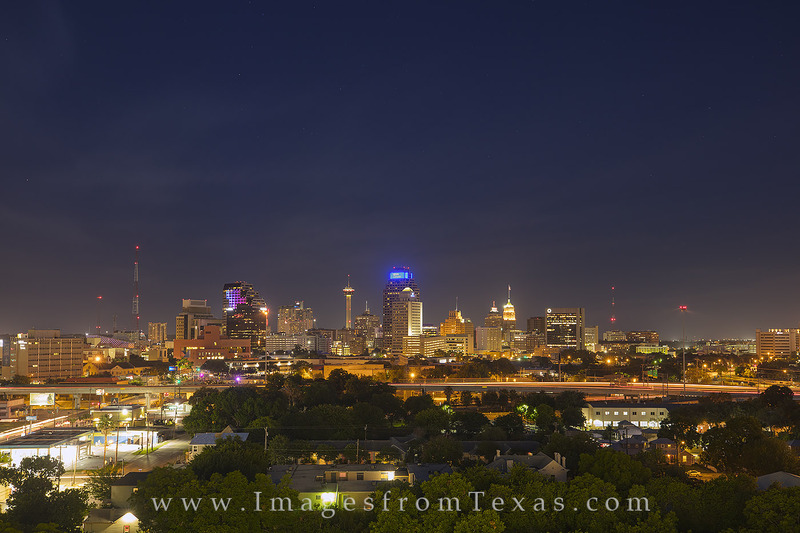 From a few miles outside of San Antonio, this is the skyline view of downtown area. The tallest building is the Tower of the Americas, rising 750 feet in the air. In the foreground, I-35 runs south to the coast and north to Austin and Dallas. Photo © copyright by Rob Greebon.